Intrepid Mole, digging up the stories behind the news. Mole wonders if the peaks of the British Isles are starting to resemble a mortgage trade show after he hears of more exploits by industry professionals trooping up and down one mountain or another. If you are embarking on such a challenge, it may be worth packing your business cards as you are sure to run into a useful contact or two, Mole reckons. As a mainly subterranean creature, Mole is no fan of heights, so he was impressed by GWlegal’s recent vertigo-inducing fundraising efforts. 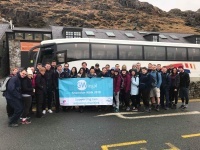 More than 40 members of the law firm’s property, marketing, IT accounts and personal injury teams scaled Mount Snowdon in April, raising nearly £4,000 for Dementia UK and Alzheimer’s Society. 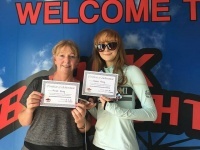 More recently, Helen Airy from GWlegal’s remortgage team completed a 17,000ft skydive to raise money for Marie Curie. To support Helen, staff at GW also wore an item of yellow clothing to fundraise for the inspiring cause, bringing the total donation to the cancer charity up to £1,187. Mole suggests something a bit more down to earth as the team’s next challenge – such as a sponsored dig. Mole congratulates another bunch of mountaineering mortgage bods for completing their latest annual charity trek. A team of 28 employees from My Home Move have raised £2,384 for the company’s charitable foundation by hiking up Ben Nevis. It is the second time that a team from the firm has completed this challenge and the money raised will go to five homelessness charities supported by the trust: The Bridge in Leicester city centre; The Hope Centre in Northampton; The Mustard Tree in Greater Manchester; The Snehalaya children’s home in India; and Simon on the Streets in Leeds. The Conveyancing Association have also got their hiking boots on in a bid to raise £25,000 for Tŷ Hafan Children’s Hospice. Four members of the CA’s secretariat – Spencer Cawley, Joel Grant, Morgan Paley and Will Smith – scaled the Welsh three peaks of Mount Snowdon, Cadair Idris and Penyfan all within 15 hours on 30 June. Separately, the CA’s operations director, Lloyd Davies, is taking on five of the highest mountains in the UK – Ben Nevis in Scotland, Scafell Pike in England, and Snowdon, Cadair Idris and Penyfan – over just 55 hours. 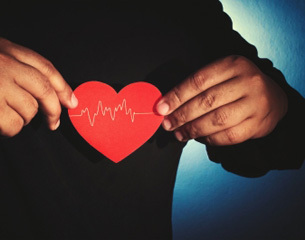 The foundation runs a free legal fee competition, whereby conveyancing clients can make a £10 donation to charity to be included in a monthly prize draw to get their legal fees covered. The competition has raised over £300,000 for Tŷ Hafan Children’s Hospice over the past 10 years. Mortgage hopefuls have been warned to cut out the banter on their bank statements if they want to be approved for a home loan. The Sun recently reported that applicants risked being turned down by lenders if they used jokey payment references when transferring money to friends. Apparently, lenders take a dim view of this behaviour, particularly if it hints at unhealthy or risky lifestyle choices. 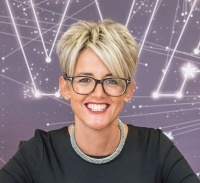 A source at a mortgage lender confirmed to the newspaper that some applicants had been turned down because of swear words on their statements or references to drug use. Mole will think more carefully about how he labels payments to friends in future. 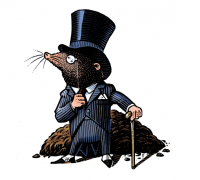 Mortgage Mole: Out to lunch?